Next Lock Screen is an time-saving lock screen app for Android, designed to minimize the number of times users need to unlock their phone to get to what’s next. 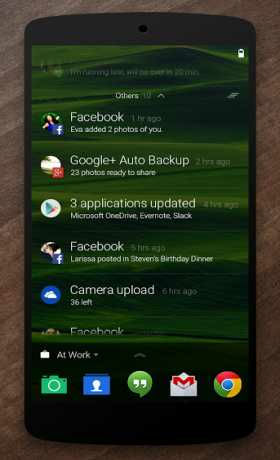 Next Lock Screen, a Microsoft Garage project, is a time-saving locker for busy professionals. Looking for a way to lock your phone but still have quick access to your apps? Next Lock Screen shows you important notifications at a glance and gives you app shortcuts right on your screen, all while keeping your Android lock screen beautiful and organized your way. Unlock Less: Cut down on the number of times you need to unlock your phone with notifications and updates at a glance. – Calendar: Quickly scan your upcoming events, complete with time and location. Receive summaries on the meetings you have for today and tomorrow. – Email & Messaging: See emails, texts, and messages from other apps such as Facebook, Skype, Viber, Google Hangouts, WeChat, and Line. 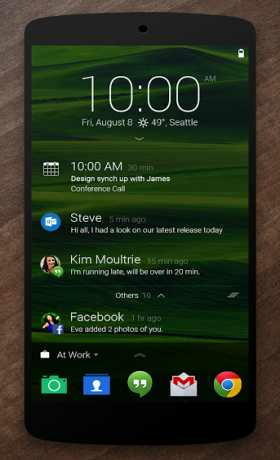 Smart Actions: Next Lock Screen is an app launcher and a locker app all-in-one. – Music Controls: Pause, play, and skip songs on supported audio apps such as Spotify, Audible, and Pandora. – Quick App Launch: Launch your favorite apps and toggle settings on and off with our built-in app launcher. 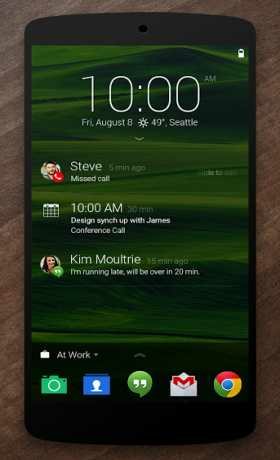 – One Swipe to Dial: Next Lock Screen dials you in, enters the conference PIN, and gets you talking faster, all with a single swipe. Your Screen, Your Way: Customize your lock screen with wallpapers, favorite apps, and more. – Custom Wallpapers: Choose an image from our selection of beautiful pictures, your own gallery of photos, or automatically get the Bing Wallpaper of the day. – Smart Settings: Organize your apps and wallpapers for different locations: home, work and on-the-go. – Custom Unlock Method: Unlock your phone with a PIN or pattern. Next Lock Screen is available worldwide but currently only supports English, Spanish, and Chinese languages.